Technology and fashion intersect with Panasonic’s new range of steam irons. The U Series steam iron models JU700, U550, U500 and U400 feature a large ceramic soleplate that allows you to cover a wider ironing area in fewer strokes, while their ergonomically designed handle and low height assure maximum comfort. In addition to its wider width, the soleplate is curved and has a unique U-shape with 27 vents for even steam distribution, which is essential for softening fabric and removing wrinkles. 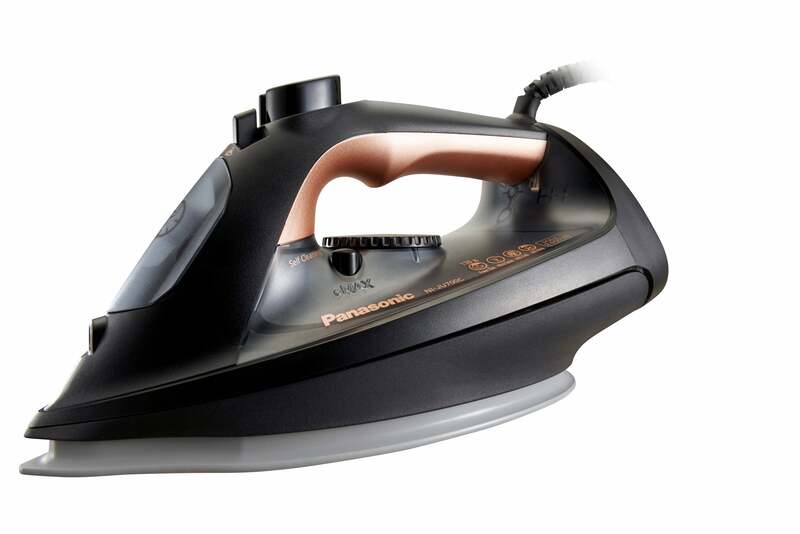 Steam is the name of the game, and the irons also feature the power shot steam system, a Panasonic innovation that allows large quantities of concentrated steam to penetrate deeply into the fabric so that it never loses its texture. Panasonic U Series Irons. Image credit: Panasonic. Power shot is also ideal for removing odor caught in hard-to-wash garments, such as knitted items and suits. A micro spray blast feature also makes ironing more efficient, while the anti-drip function prevents leakage from the steam holes. The irons are built to last with a three-way self-cleaning system. Anti-calc prevents calcium build-up -you know, the substance that can ruin your clothes- in the water tank, while the self-cleaning button is for releasing excess water. To top it all off, the power shot aids in removing remaining water and calcium scale completely, preventing steam holes from getting clogged. The JU700, U550, U500 and U400 steam irons are perfect for keeping your professional pieces pressed and ready to go.